Donor solicitation letter written by Albert Einstein, on behalf of the Emergency Committee of Atomic Scientists. February 10, 1947. 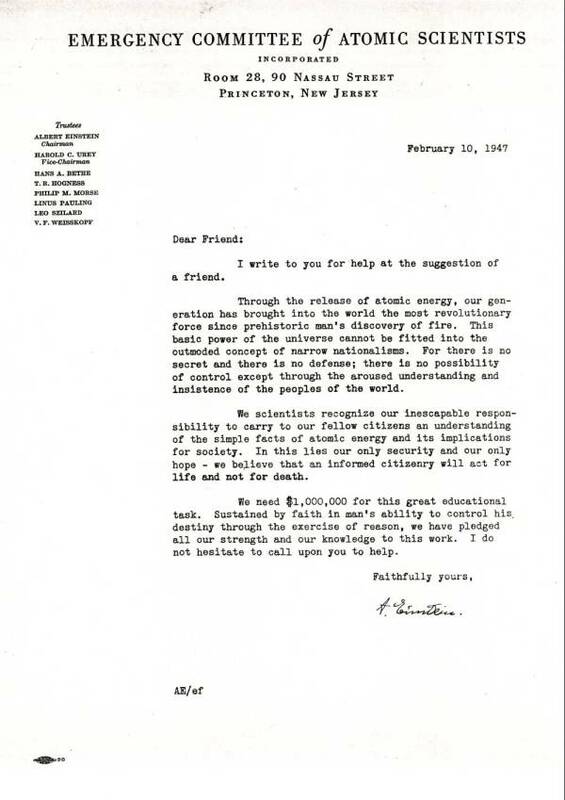 A form letter in which Einstein solicits funding for the work of the Emergency Committee of Atomic Scientists. Transcript. Letter from Linus Pauling to Harlow Shapley.